The resolution on the proposed National Government is scheduled to be debated tomorrow and subsequently a vote will be taken in the house. 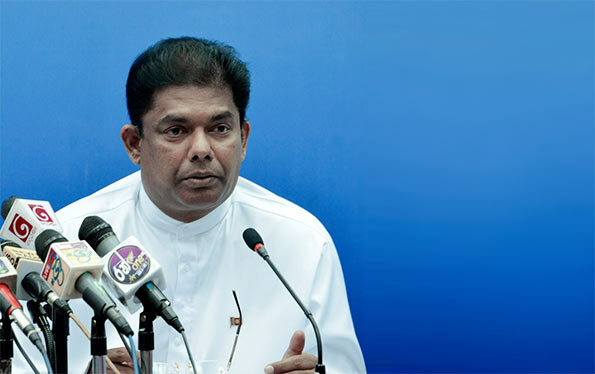 Issuing a statement Chief Government Whip Minister Gayantha Karunatileka has also informed all members to vote in favour of the resolution. The United National Party has presented the resolution in line with the article 46(4) of the Constitution. Leader of House Minister Lakshman Kiriella today informed party leaders about the move to present the motion in Parliament tomorrow. This guy should go back to primary school for his Arithmetic. The UNP is a minority in Parliament and none of the other parties including powerful POHOTTUWA and TNA are willing to support UNP on this matter. If I were in Pohottuwa, I will bring a constitutional amendment to repeal the 19th Amendment to the Constitution so that the future presidents (not the current Pam***a) will have Executive Power. Why only tomorrow it should be made mandatory every time parliament is in session That is why those 225 are being elected by the people not just to sit at home or go on foreign trips after all they are being paid a special allowance for being present. Parliamentarians are paid big bucks by the amude-wearing taxpayers including luxury cars, staff (partners and cousins) and private secretaries. The taxpayer pays the big bucks to ensure Parliamentarins attend Parliamentary sessions diligently and participate in proceedings. This Chief Whip, whoever it is, is talking through the wrong opening in his body and appears to have no brain or no understanding of the responsibilities of Parliamentarians. Simply cannot understand why such people are given responsibility while there are thousands of young, clever and disciplined Sri Lankans who are capable of undertaking duties assigned to brainless leaders. You guys are great commentators. This DUMBHEAD is the Chief Government Whip, what a shame. Ranil, Can’t you find someone else who has a brain?